At Kerry's Car Care, we are dedicated to helping you maximize the investment you have made in your car. When it comes to the Mitsubishi repair work we do here, this is a pretty easy task. These cars are made to last, and were affordable the day you bought them. That put both of us, our Mitsubishi repair team and you, in an excellent place to both achieve our goals. 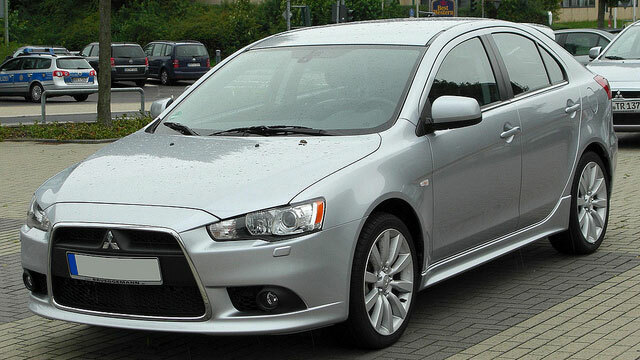 The cars currently produced by Mitsubishi, the Lancer, Outlander, RVR, and Eclipse, are fine examples of affordable cars that are not cheaply made. We specialize in doing affordable, and quality Mitsubishi repairs here at Kerry's Car Care, in an effort to follow the example set by this company. The Mitsubishi owners expect this, and our goal is to satisfy our customers at every step of the repair process - especially when they drive their car off the lot after paying a reasonable bill! These cars are advanced pieces of modern engineering, and proper Mitsubishi repair work requires advanced equipment. The technicians at Kerry's Car Care have access to the computerized diagnostic equipment at our shop, and are sure to use it wisely. There is rarely an opportunity that passes where we don’t use this tool to do a complete, thorough and accurate assessment of your car’s repair status. To begin the process, call up the Kerry's Car Care support staff. They are right in our shop working alongside our Mitsubishi repair team. They’ll work together to get you the information you need, and find that perfect appointment time.